Artificial Intelligence has seeped into most industries in India, in one way or another, and politics is no exception. 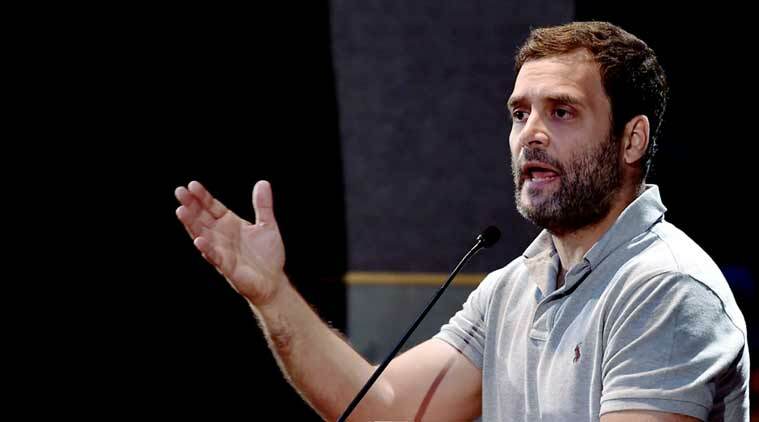 Congress Vice President Rahul Gandhi set to visit the US to meet noted personalities in the AI and related field. According to reports, Gandhi is looking forward to “expand his thoughts about artificial intelligence”. Gandhi reportedly also wants to bring back the knowledge and implement it at the policy level in the Congress party’s vision documents. He will be accompanied by Chairman of Overseas Congress Department Sam Pitroda, who has fixed Gandhi’s meeting with technology experts. “Many important think-tanks from Silicon Valley at the San Francisco Bay are converging to discuss the artificial intelligence, the future technology. Rahul-ji is greatly interested in making India a leader in the artificial intelligence as some years later software technology will lose its sheen,” a senior Congress leader said. AI is no longer a nascent area of interest, either for investment or innovation in India. In fact, many big technology players have invested huge sums of money for greater innovation and expansion of related businesses. The Bharatiya Janata Party (BJP) had invested a huge chunk of money as well as manpower on technology, social media, data analysis and marketing during the runup to the 2014 Lok Sabha elections. Political commentators have suggested that the example of the landslide victory of Narendra Modi may perhaps have prompted Gandhi to explore possible use of technology in the light of upcoming Gujarat Assembly Elections. Gandhi is also set to address a conference on ‘India At 70: Reflections On The Path Forward’ at the University of California, Berkeley, on September 11. He is also likely to attend a host of other events and meet experts in various fields, investors and Non-Resident Indians during the visit. Gandhi recently returned from his trip to Norway, where visited several biotechnology and nanotechnology-related firms.